Charity founder Father Chris Riley AM has been named NSW Australian of Year 2012 in recognition of his dedication to helping disadvantaged Australians. Father Riley believes there is no such thing as ‘a child born bad’ but that they become vulnerable in unsafe environments and circumstances. He believes, with intervention and education, lives can be turned around. Twenty years ago, Fr Riley founded Youth Off The Streets (YOTS) with a single food van delivering meals to young homeless people in Kings Cross. Today it is a major agency assisting young people aged 12 to 21 who are homeless, face drug and alcohol dependency, exclusion from school, neglect and abuse. Fr Riley estimates the organisation has helped over 50,000 young people with accommodation, education, psychological services and drug and alcohol rehabilitation. It is his determination, unstinting hard work and respect for both the clients and his 250 staff, that has guaranteed the success and effectiveness of YOTS. In 1997 he opened Key College, an independent high school pioneering a flexible education model to help young homeless people return to school. YOTS now operates Key College on three separate campuses with a fourth school in the Southern Highlands. 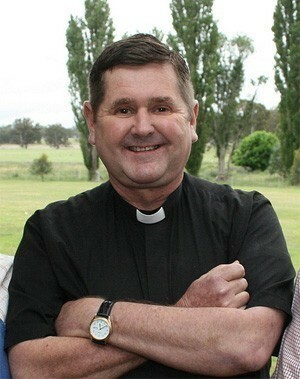 Fr Riley is twice the winner of the Prime Minister’s Award for Excellence, and the winner of the Human Rights Medal. The NSW Young Australian of the Year 2012 is 25 year old youth educator Jennifer Star for her efforts in an establishing an education partnership organisation which benefits thousands of Indian children and shares learnings between two continents. Star was named one of Australia’s 100 Brightest Young Minds in 2007. Several years ago she went to India as a World Vision Youth Ambassador and teacher. There were no classrooms and Jennifer found herself sitting under a tree with 48 children and no resources. Then and there she resolved to return to India to improve the plight of some of the world’s most impoverished people. At just 21 she started Tara.Ed, an innovative non-government organisation promoting sustainable quality education in rural India by training teachers. It works as a partner organisation, with both Indian and Australian schools and teachers working together. Since 2007, Tara.Ed has reached out to 86 teachers and 1,340 school children. Her aim is to influence the prospects of 20,000 children, 200 teachers and 20 schools across two continents by 2020. The NSW Local Hero 2012 is Lynne Sawyers of Darbys Falls, a foster mother who has shared her home, her family and her love with more than 200 children. The NSW award recipients will now join recipients from all other States and Territories as finalists for the national awards to be announced on 25 January 2012 in Canberra. Tam Johnston, Program Director for the National Australia Day Council, said the NSW award recipients shared a common commitment to helping children and young people. “The NSW award recipients are fantastic examples of people who see a need and decide to do something about it, making a real impact on peoples' lives and on our communities," said Johnston. The Commonwealth Bank has been the major sponsor of the Australian of the Year Awards for more than 30 years. Chief Executive Officer Ralph Norris congratulated the NSW award recipients. "The Commonwealth Bank is proud to be part of acknowledging the work and efforts of an impressive group of Australians through the Australian of the Year Awards," said Norris. "This year's NSW award recipients are extraordinary people that we can all be inspired by. It is the passion and determination of individuals like these that make Australia a terrific country. Read all about the NSW recipients here.